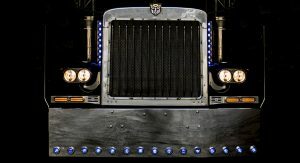 Not only is Bumblebee from the latest Transformers film set to be auctioned later this month, but the truck that stared as Optimum Prime in the first three movies will also be offered for sale. 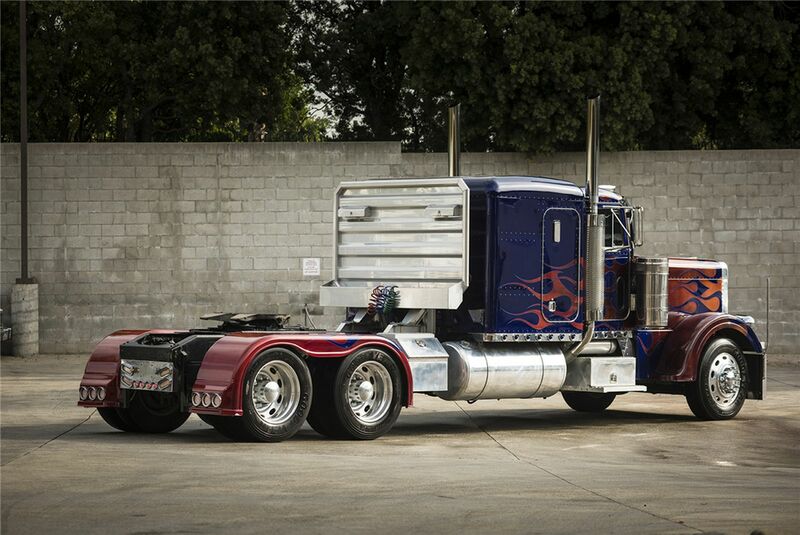 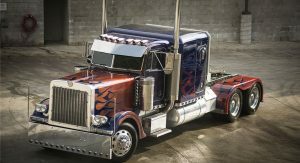 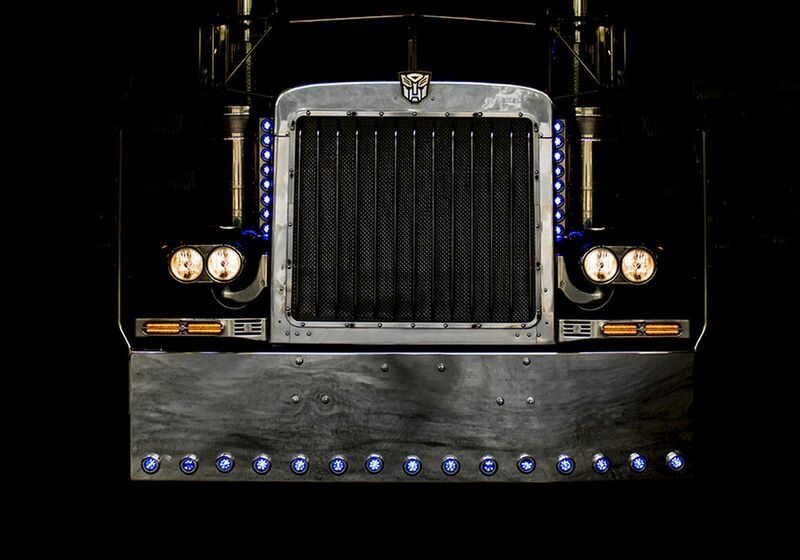 The car is a modified 1992 Peterbilt 379 but as with most vehicles to have starring roles in Transformers films, it has been extensively modified. 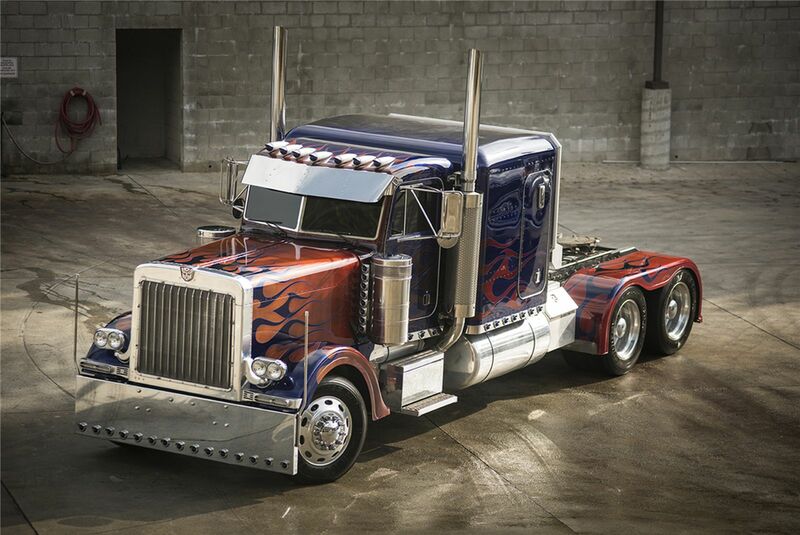 For starters, there is a bespoke paint job combining blue and orange in a flaming design. 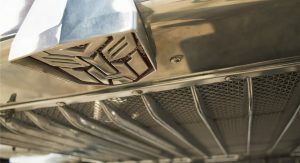 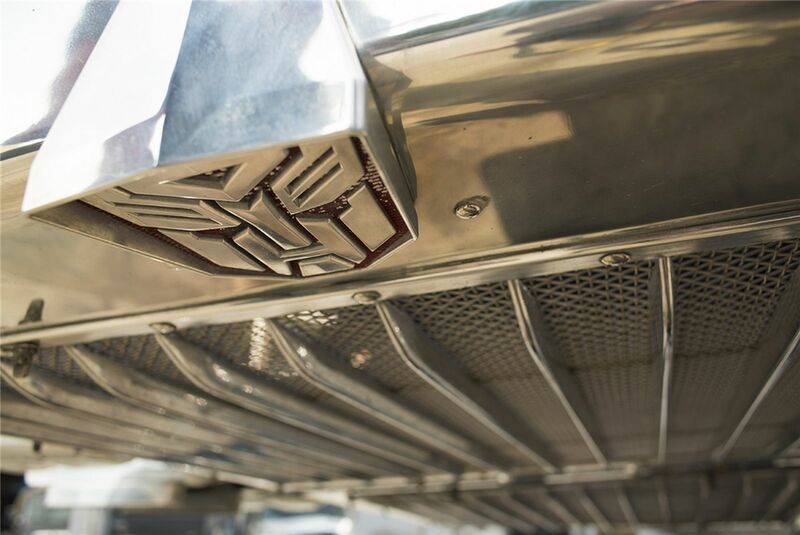 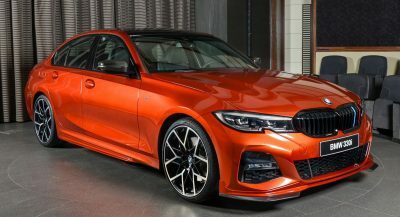 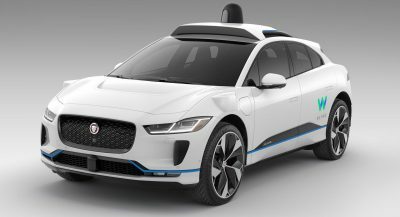 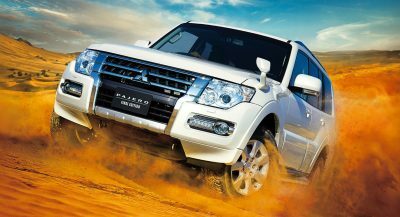 There are also new chrome elements across the exterior, particularly the front end which supports a custom grille fitted with the recognisable ‘Autobots’ emblem. 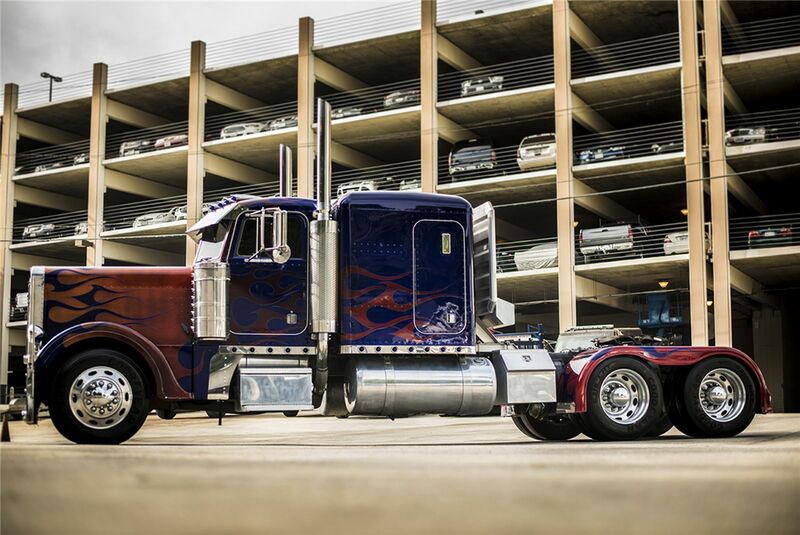 It is being sold without a reserve but as it has served as a stunt vehicle in the past, it isn’t legal for street use and may not be compliant to emissions regulations in all 50 U.S. states meaning you won’t see this beast rolling down the streets if it is indeed sold at auction. 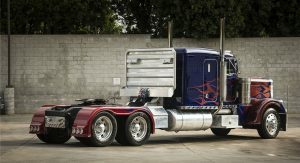 Unlike the Bumblee Camaro being sold by Barrett-Jackson, the Optimus Prime truck is believed to be mechanically standard meaning it’ll probably sell for much less than its two-seater American-built co-star. 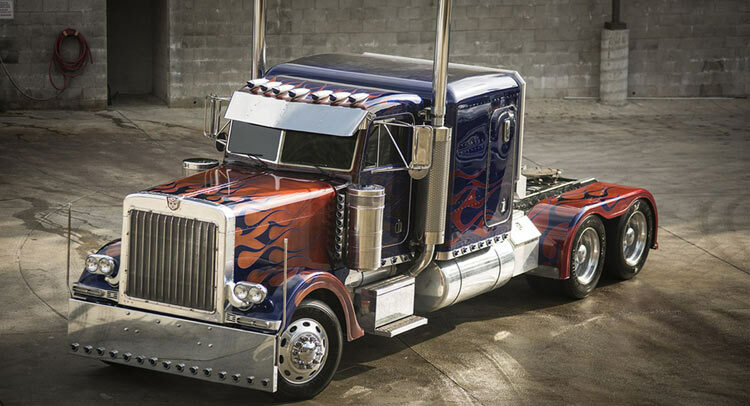 Barrett-Jackson boss Steve Davis believes both Optimus Prime and Bumblebee will prove popular at Scottsdale. 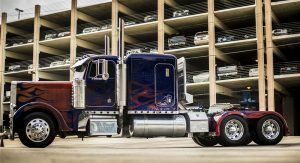 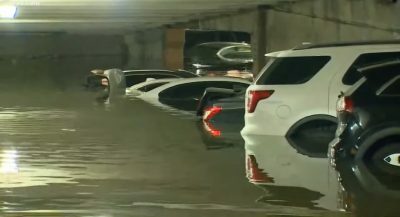 “These vehicles are part of a celebrated global phenomenon and have cemented their place in the hearts of fans who watched them in action on the big screen—the two heroes will be an exciting part of any collection for movie fans and car enthusiasts alike,” he said. 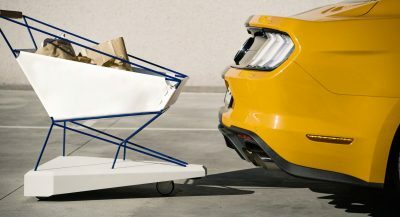 Next PostNext Did The 2017 Lincoln Continental Just Leak On The Web?